It's tough to know what to make of the Life Ain't Fairview Trio. With bass, drums and piano, it looks like a classic jazz trio. But it sounds more like a 100-proof distillation of Screamin' Jay Hawkins, Joe Strummer and Tom Waits. The band says, for lack of a better term, it's punk rock. 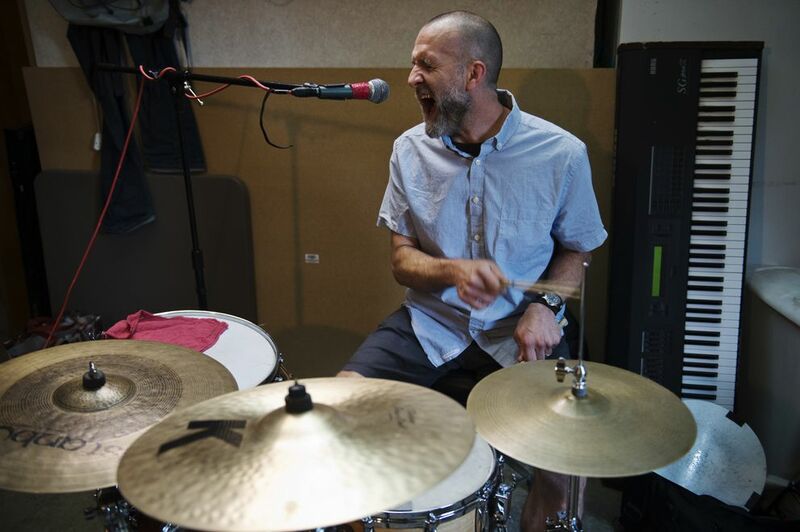 "I wouldn't know what else to call it, really," drummer Jason Lessard said. Most undeniably, it's uniquely Anchorage. 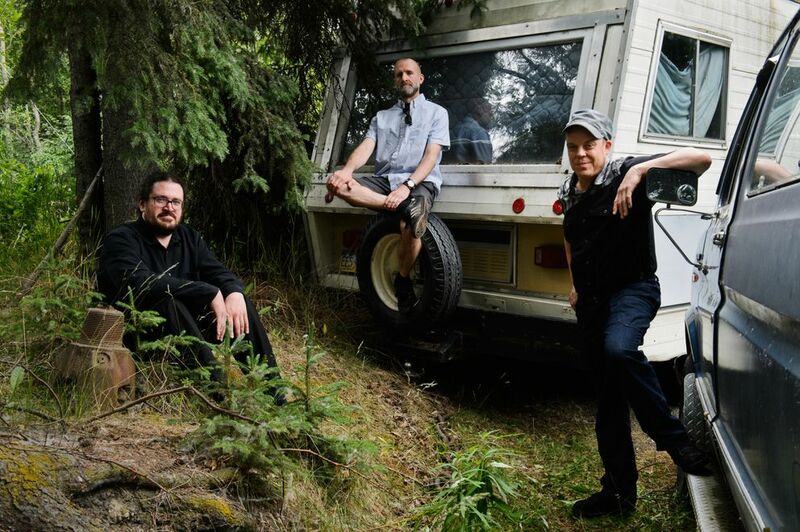 With their sophomore album, "Boomtown," the band delivers hard-bitten tales filled with motley characters that patrol the streets and darkest corners of Alaska's largest city. If that's not for you, the album offers an alternative. "There are three tunes billed for a future project, a musical about Popeye in Dutch Harbor, called 'Popeye in Dutch,' a non-canonical fan-fiction musical production about Popeye," explains singer-bassist Orion Donicht. The divergent collection of songs illustrates the band's punk ethos — play what you want when you want and don't overthink it. "Get in where you fit in," Donicht said. "It's punk rock, in the sense, we do what we want, we each have our voice and play it the way we want it." 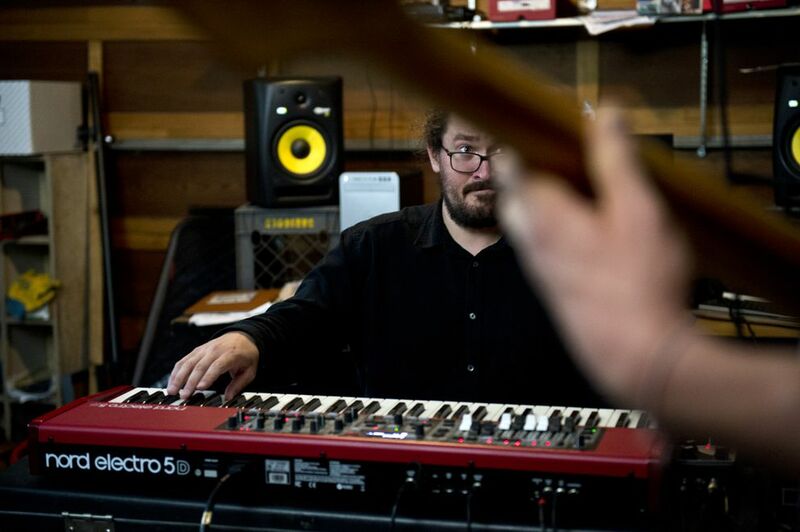 That carried over to the recording process, where they tracked much of the album live with producer Kurt Reimann at Surreal Studios in Anchorage. "We play with each other," Lessard said. "If there's tempo change, often we're trying to do it together. I prefer that feel. Sometimes when you distill it down you lose a lot of energy and the feel of the band. For someone that plays the songs a lot, I know them live. I like one cohesive thing moving together through s—, for good or bad." The first half of the album is heavy on material the band has been playing live, with some twists. "I Hope I Die On My Bicycle," rolls with a "New Orleans feel," according to Donicht. The title track starts slow and drives hard, with wild callback vocals. "This version of 'Boomtown' is the best take (of the session) when we recorded the album," Donicht said. "That's also why we named (the album) 'Boomtown.'" "Anchorage to Me," is a cautionary tale, with the narrator describing a sad journey of an Alaska Native woman who arrives in Anchorage from her rural village. "It's a scary place," Donicht said. "Music is the only way we have to address the crazy stuff we see. It's important to point out the stuff that's not necessarily pretty." Donicht and Lessard met in the Anchorage music scene and eventually formed the duo Slim Jim Crowbar. 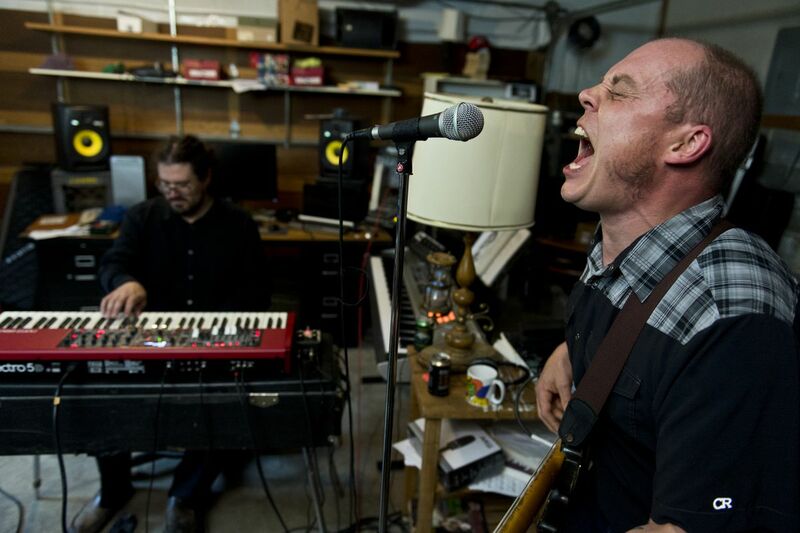 Keyboardist Alex Cruver, who grew up in Chugiak, gave the band the element they were missing. "Jason and I were rocking out and we were looking for someone to play solos over what we were doing, and Alex Cruver agreed to do it and it changed everything," Donicht said. "Having Alex translate your songs, it's like having your paintings touched up by Picasso." Cruver's deft touch is featured heavily throughout the album, including when it shifts into the Popeye trilogy of songs, which are lively and a little lighter in tone. Lessard said the new songs were crafted very democratically, with Donicht generally bringing in a song or concept and the other two members filling in around it. "You can hear some of the songs we've written together," Lessard said. "You can tell those songs are a product of who we are and where we're feeling ourselves in the music." Some of the songs are raw or discordant, but Donicht says they are crafted to reveal harmony. "One note is just one note," Donicht said. "An F is a hard-hearing note, a lot of car horns are in F. The C is a nice mellow note, kind of gets you energized. G is everybody's note, it's very unifying. But a note is just a single note, it's just one note. If you really want to make some magic, you need two notes at least. You need to make some harmony and it's that clash, that change, that contrast. That's what makes life so special and with people it's the same way, you need other people. The way we address each other and the way we treat each other is the only thing worth talking about."